As a real estate professional, I strive to keep in touch with my clients and provide them with information that I hope they will find useful. 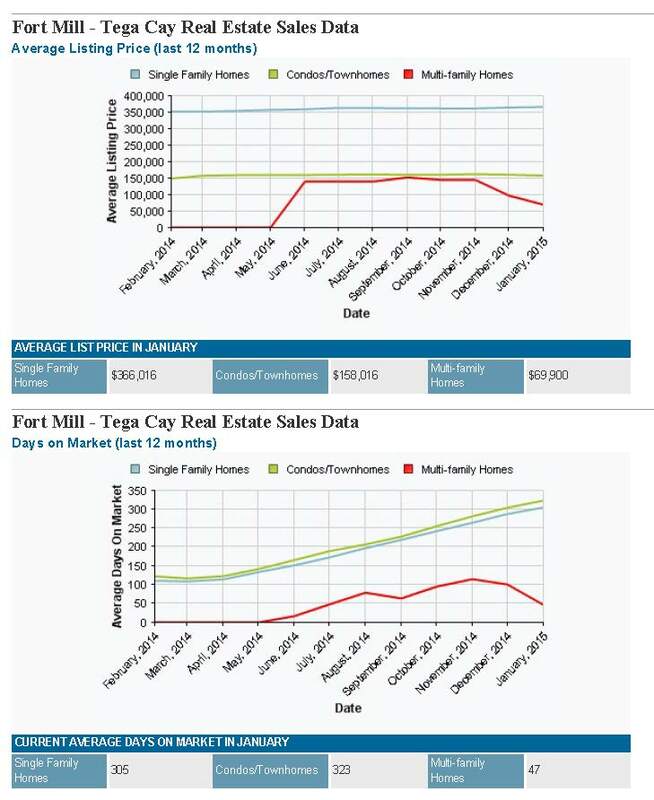 This homes sales update is an opportunity to let you know about the state of the market and current trends in the Fort Mill and Tega Cay market. The chart below shows the last 12 months homes sales trends through January 2015. The single family homes average price is $366,016 which has been above the $360,000 range since last May. The most notable change continues to be the increase in average days on the market which is ?currently at 305 days bottom shown in the chart. Sales data from?Piedmont Regional Multiple Listing Service. If you want to know why, want more info, or have questions about the market data, please do not hesitate to contact me. or call me at 803-322-3479, or text me.